As part of their 20th year in the movie industry, Star Cinema distributes Thailand's high grossing film of all time - Pee Mak in our theaters this August 28. This horror-comedy-romance film will surely knock your socks off as it stars Thai heartthrob, Mario Maurer and Davika Hoorne . 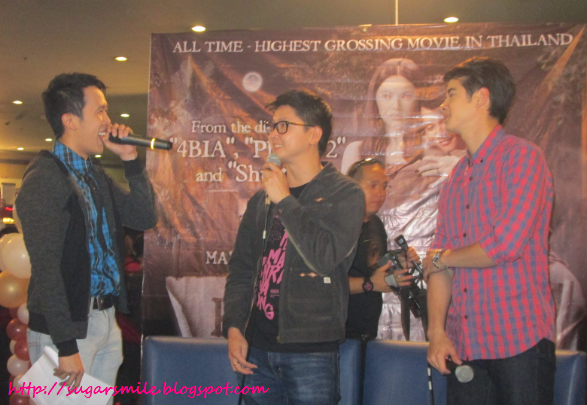 During its Advanced Screening here in the Philippines, Mario Maurer was accompanied by Pee Mak director Banjong Pisanthanakun to promote this exciting movie. Mr. Banjong is also the genius to the box-office horror films like "Shutter", "4BIA" and "Phobia 2" - which also stars the four supporting cast of Pee Mak. The film is produced by GTH Films and already reached $33M with 10M tickets sold nationwide. Pee Mak is taken from a popular Thai legend about "Mak" (Mario Maurer) and his ghost wife Nak (Davika Hoorne). Set in Rattanakosin Dynasty, men were obligated to fight at war so Mak needs to leave his pregnant wife home and fight for their country. There he met his fellow soldiers, Ter (Nuttapong Chartpong), Puak (Pongsatorn Jongwilas), Shin (Attrarut Khongrasri) and Aey (Kantapat Permpoonpatcharasuk). After they survived the war, Mak invited the four to his hometown, Phra Khanong, but they have discovered eerie things after meeting his wife Nak (Davika Hoorne) and their newborn baby, Dang. Out of loyalty, his friends tried to tell Mak that Nak is already dead and he doesn't deserve to be lied to. They tried different tactics just so Nak wouldn't discover that they are trying to tell Mak about her secret. Frightened as they were, they must risk their lives to convince Mak that the dead an alive shouldn't coexist in the real world. Pee Mak's horror-comedy genre will definitely be enjoyed by everyone. All the elements of scare, laughter and romance are already in this film. I loved how Director Banjong managed to keep the story light despite the horror scenes. 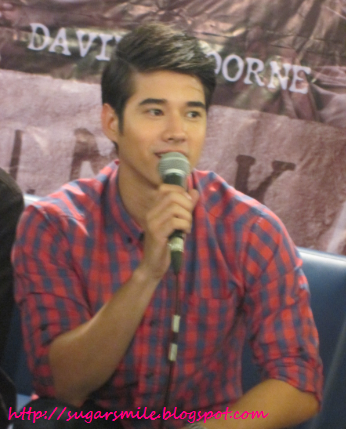 Mario Maurer is a crowd pleaser in this movie. He was tough during the war, but then became a softy when he finally saw the love of his life. He was naive in a good way, but I guess that's just how things are when people are in love, you can be that gullible. Despite being supporting roles, his four friends shine throughout this film. Pee Mak was less scary because I was laughing at their antics and despite being frightened of Nak, their reactions are always priceless and their puns, memorable. The cinematography is perfect too. Director Banjong made the province very eerie and believable that Nak was haunting the whole town. You should also look for the town fair scene because it literally melted my heart. Rating this 5 out of 5 stars because almost all the elements are in this movie. Discover what will prevail in the story of Mak and his ghost wife, Nak. 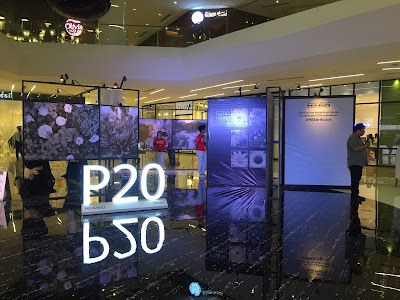 For more updates about Pee Mak and other Star Cinema's 20th Anniversary offerings, you may visit www.StarCinema.com.ph or Like their Facebook and Twitter Pages. Catch Pee Mak this August 28 at your nearest cinema.